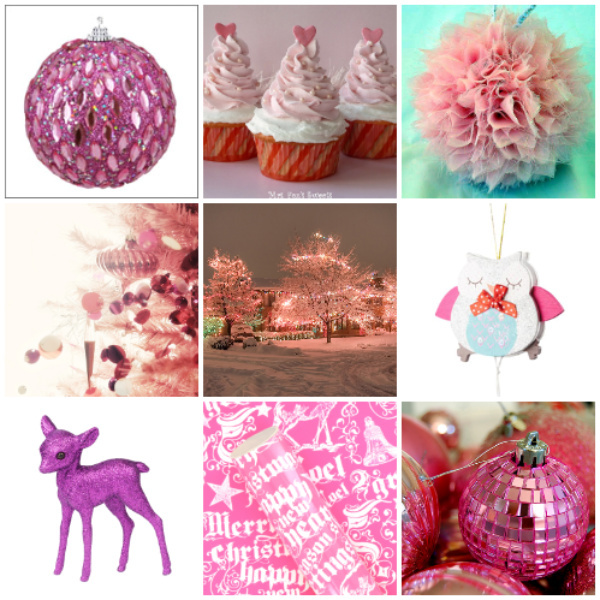 Sorry in advance to any male readers or those with severe aversion to pink, I just couldn't help but do another pink Christmas post...it's as involuntary as wanting to smack Lee Evans in the face. So sit back and feast your eyes on this little lot (including the gorgeous Skye's beautifully made knitted headbands from her shop 'i am hand-made'). From left-right: Via weheartit.com , i am hand-made , John Lewis, Paperchase, Paperchase, Via weheartit.com , Sainsburys, Via weheartit.com , John Lewis. Good old paperchase!! the 99p shop actually has mirrored purple baubles, which are actually just amazing. 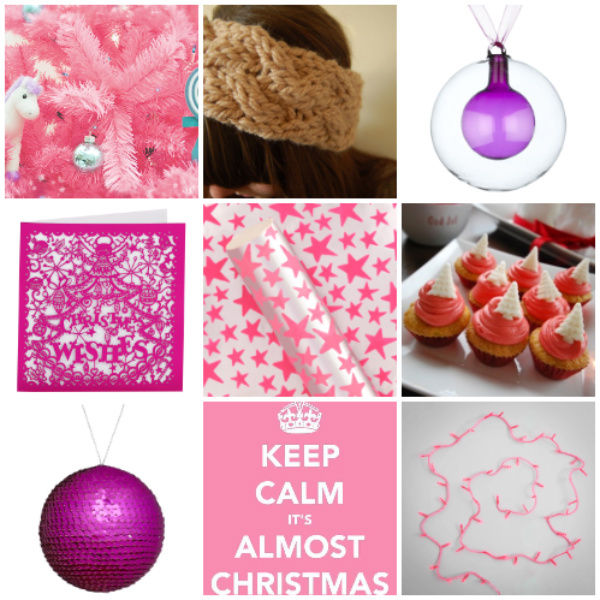 I'm definitely more of a purple than pink girl!